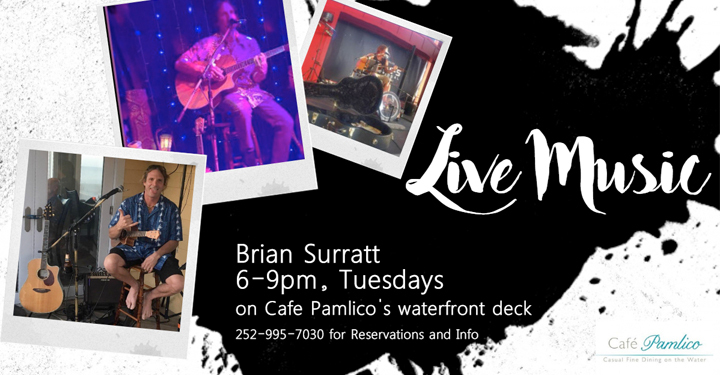 Join us at Cafe Pamlico at The Inn on Pamlico Sound in Buxton every Tuesday night for dinner, drinks and a great time with Brian Surratt, live on the guitar, ukulele, harmonica and drums. Brian is a local musician with a mix of covers and originals. 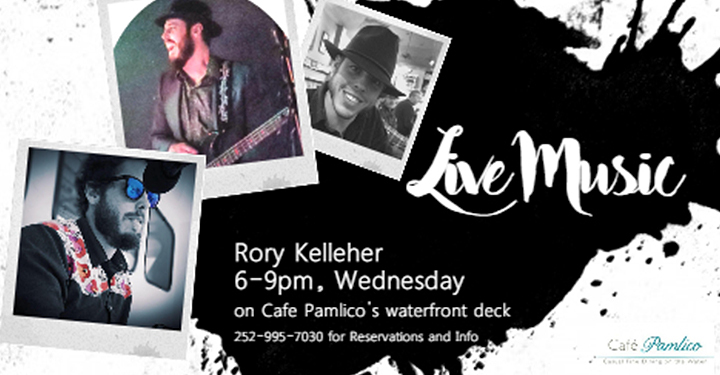 He plays anywhere from 80’s funk to rock to beach music.